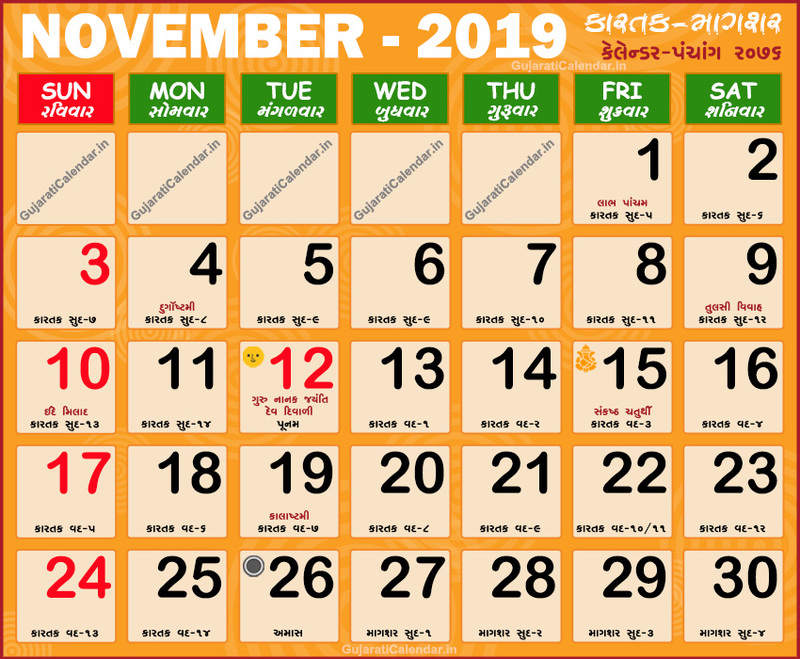 Gujarati calendar 2019 November showing festivals, holidays and tithi. November corresponds to the Gujarati months of Kartak Magshar. Gujarati Calendar 2019 November, Gujarati month Kartak and Magshar is the months of Shishir Rutu or Winter. It is very pleasant temperatures and time of the year, weather-wise. Generally, temperatures are around 19-25 degrees Celsius. November 2019 is an kartak magshar mahino in vikram samvat 2076.